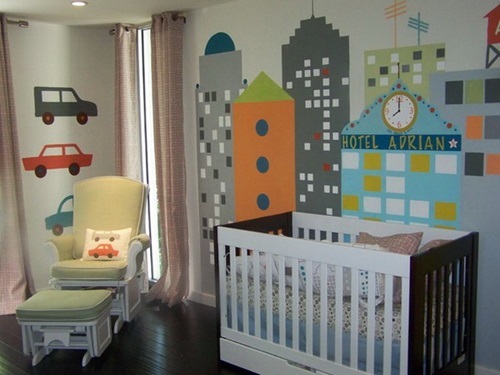 The first thing you will think about when you design your baby room is the crib. 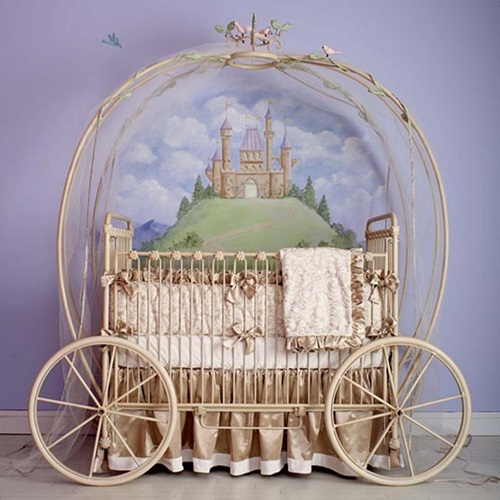 Baby cribs come with many different designs and colors. 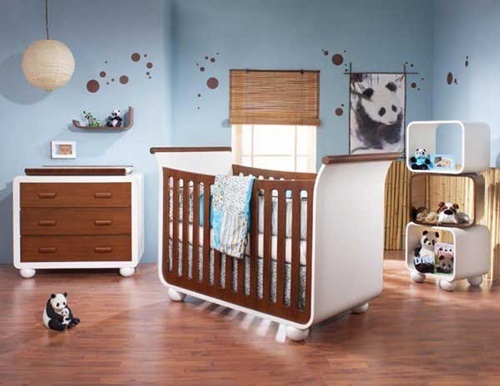 When you choose your baby crib, make sure to choose a safe, comfortable and durable one. 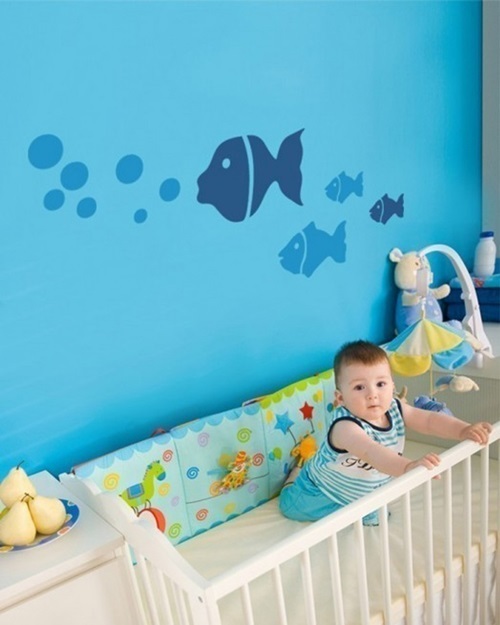 You can hang some soft toys around your baby crib to keep your baby distracted or you can hang some musical and colorful items in the ceiling above the baby crib to cheer your baby, for example, you can hang wind chimes, bells or musical toys. Just make sure to choose soft and safe items. 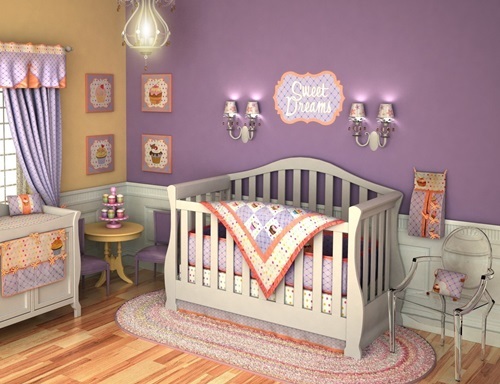 To complete your baby room design, you can have a changing table, bureau, dresser and a small wardrobe. 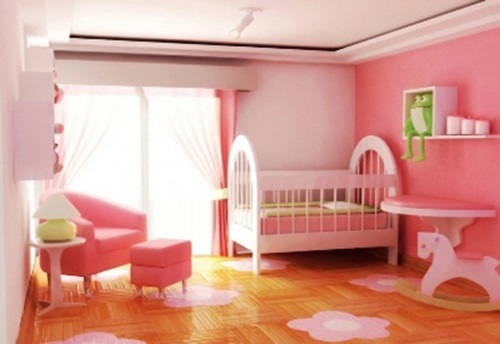 Make sure to choose the furniture pieces without any sharp edges to ensure your baby’s safety. 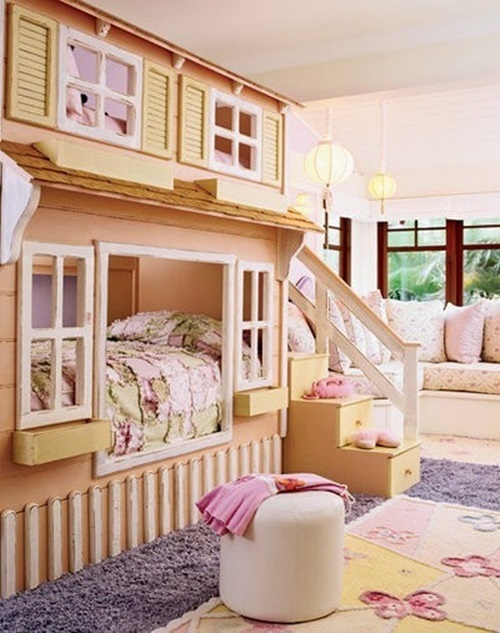 It’s a pure world, so when you choose the furniture color, go for the bright colors like, white, pink, blue, or light aqua. 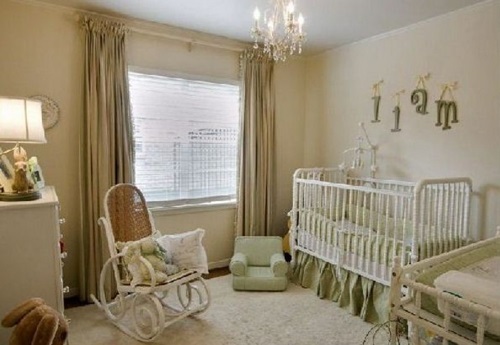 To add a cute look to your baby room, put a small area rug on the floor. You will find these rugs with many lovely cartoon drawings made especially to fit babies’ rooms. 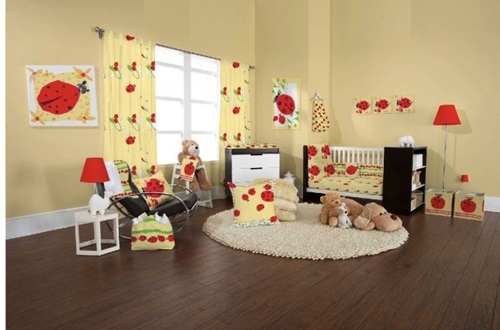 These area rugs are a perfect choice for baby rooms with hardwood flooring, as they add a very soft touch to the room. 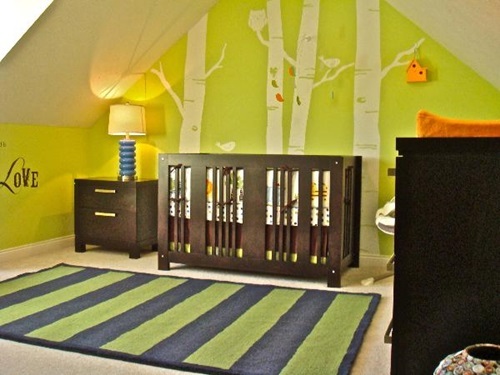 Area rugs are very easy to clean, move and replace in case you want to make some changes to your baby room. When it comes to area rugs styles for baby rooms, you will be surprised with the number of the different styles you will see. For example, you will find styles like, airplane, trains, sports, jungle, fire engine, and different Disney characters for both boys and girls. Hanging a cute curtain with lovely cartoon drawings would be such an amazing idea. 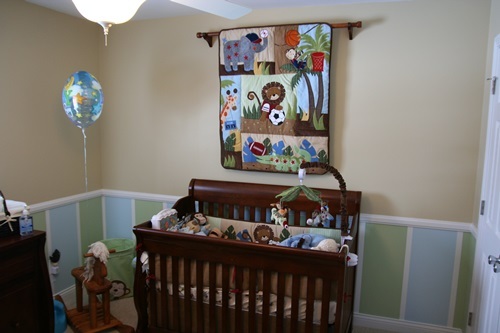 When you choose the curtain fabrics, make sure to choose a fabric that allow the sun light to get in your baby room and gives you enough privacy the same time. 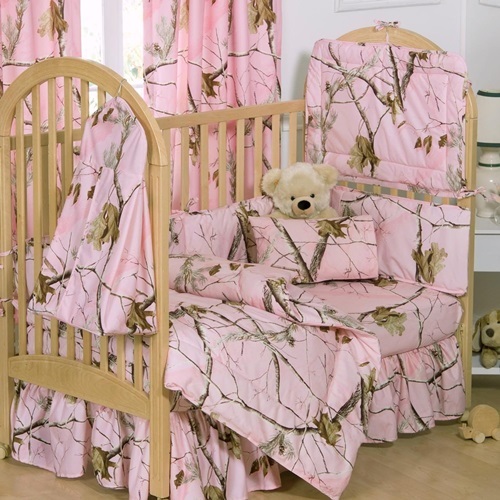 The fabrics materials of the blankets and pillows should be as soft as your baby’s skin. 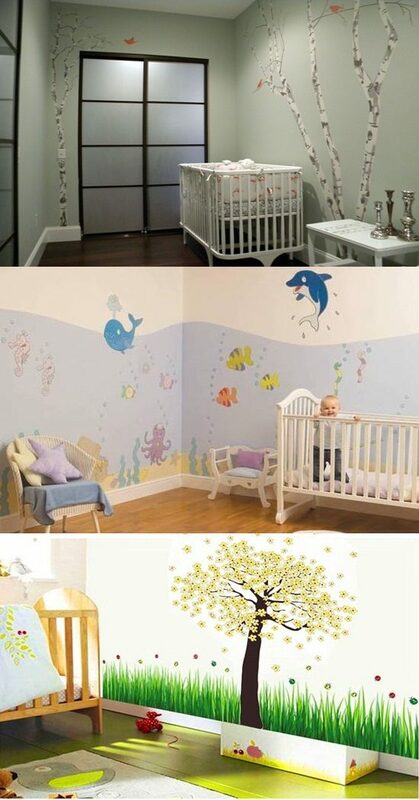 Baby rooms are all about fun and happiness. 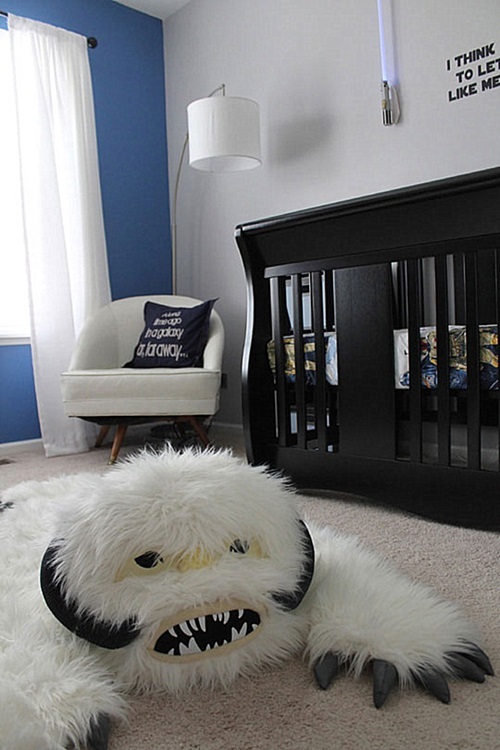 Add all the items that make you and your baby comfortable and happy. Snow globes are one the most adorable accessories you can put in your baby room that your baby will love. You can put a decorated basket to collect all your baby’s used clothes in. Set a good plane, and do online searches to get the best for your baby. Enjoy living in this pure world. Congratulations! !